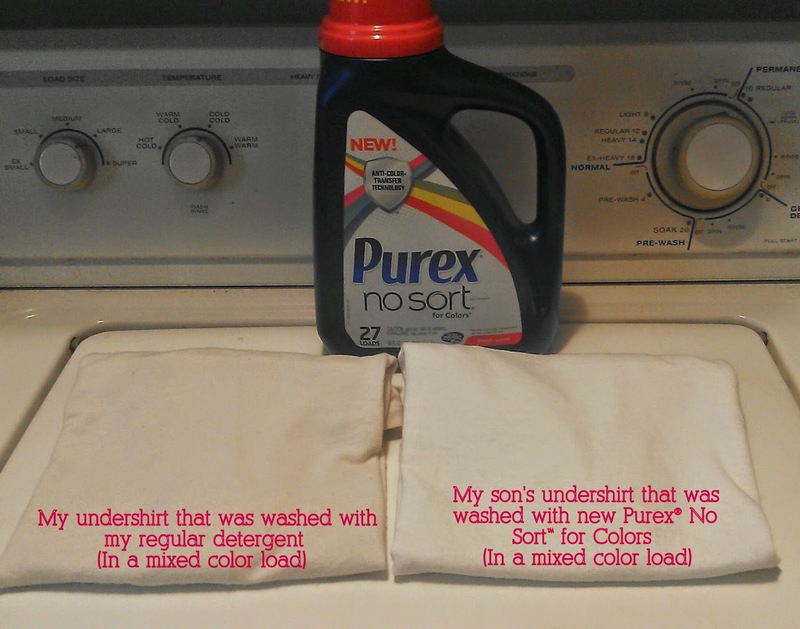 Momma of Two Review: The Rules Have Changed With NEW Purex® No Sort™ for Colors Detergent - Review & GiVeAwAy!!!! 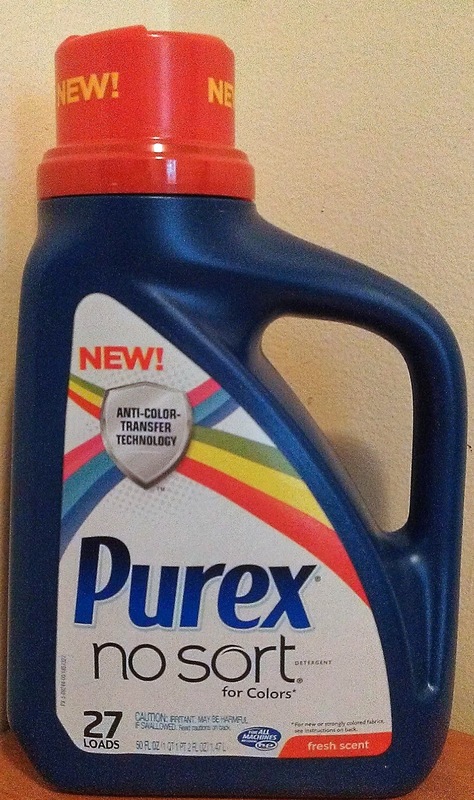 The Rules Have Changed With NEW Purex® No Sort™ for Colors Detergent - Review & GiVeAwAy!!!! I have to admit that laundry is one of my biggest motivation killers. It is one of those things in life that can never truly be complete... Unless of course the people in your household walk around naked for the period of time that you are washing the clothes that they were previously dirty-ing. Yet, as soon as they dress themselves, the cycle starts over. Between clothes and towels and bedding and anything else you can fit in that washer and dryer, it gets to be quite an endless task. Add to that the specific instructions for each material, fabric and color that enters, and it becomes even more of a daunting task. Luckily, Purex® has made an attempt to make this task easier by coming out with their latest: Purex® No Sort™ for Colors detergent! Clap your hands laundry-doers, this stuff rocks! As a Purex® Insider, I got to try a bottle of the Purex® No Sort™ for Colors for free. As a reader, you benefit from this because I am going to tell you how miraculous this liquid amazingness is, and THEN, I am going to give you the opportunity to win a free bottle to tackle your very own Mount Wash-more! New Purex® No Sort™ for Colors detergent is the latest innovation from the Purex® brand designed to simplify your laundry routine. Prurex® No Sort™ For Colors detergent features a breakthrough Anti-Color transfer Technology™ which traps loose dyes in the wash and reduces color bleeding accidents in your mixed color loads leaving your clothes bright and clean. Laundry is tedious enough without the chore of sorting, so I have a huge appreciation for Purex® and this new, innovative, no sorting, dye transfer inhibitor detergent they created (and it smells so clean too!). I have to say that one of the most devastating laundry mishaps is color bleeding accidents. I specifically avoid buying anything red as it ends up never seeing the inside of my washing machine because I don't want to chance my clothes turning pink. 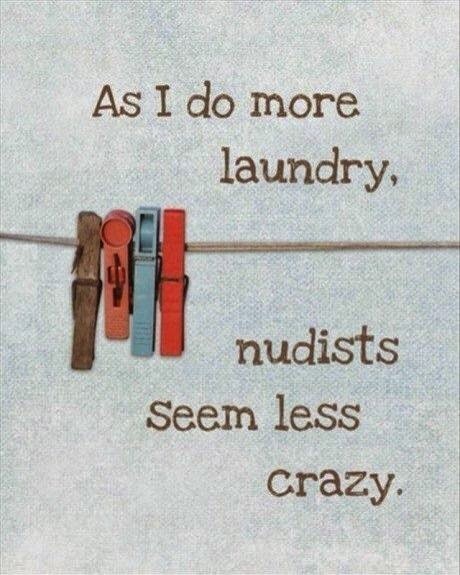 That, and I wash all of my jeans together (I'm a fan of the dark wash) so they don't have the opportunity to ruin anything else - they can share their dye with one another. In an attempt to see how this detergent works, I washed a load of my 8 year old son's clothes. In the photo below, you can see his undershirt (on the right), which was washed in a mixed color load (jeans, underwear, socks, shirts-you name it, it was in there, and my son likes dark clothes). On the left is one of my undershirts that is consistently thrown in the wash with "colors" because I wear undershirts everyday - I don't have the time or patience to wait for the "whites" to accumulate enough to necessitate a wash. Clearly, I had an excellent experience using Purex® No Sort™ for Colors detergent, and will continue to use it - it saves me time, and who couldn't use more time? I will include that it is recommended to wash new clothes that are prone to heavy bleeding (i.e. anything strongly colored and especially jeans) separately 5 times before being mixed into a load using Purex® No Sort™ for Colors detergent. I will also add that for tough stains, I would pre-treat, or use whatever method you are used to. This does an excellent job at cleaning your clothes from everyday filth, but I think it spends so much time tackling the absorption of dyes that it can't also tackle tough, set-in stains. In my experience, most detergents alone cannot do that, so this was no disappointment to me. Purex®, with the release of their newest detergent has decided to run a sweepstakes of their own, providing one grand prize winner with $1,000, and 100 second place winners with a free bottle of the New Purex® No Sort™ for Colors detergent. You have nothing to lose! Enter here. And don't forget, stop sorting laundry and enter my giveaway for your chance at a FREE bottle of the new Purex® No Sort™ for Colors detergent (up to a $6.00 value) ! Good luck! Disclosure: I received this product for free for the purpose of providing an honest review. The opinions and experiences presented here are my own. My least favorite thing about laundry is putting it all away after folding. I hate putting it away. I am ashamed to admit, that usually it needs washed again way before it gets put away. I wish there were a magic way for it to get from the dryer to the closet.